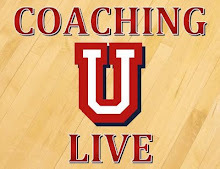 This blog will serve as an outlet for an up and coming assistant college basketball coach to comment on topics such as life, success, basketball, recruiting, and much more. Coming up, I had mentors & friends that showed me the way, now I’d like to turn the tables and offer an open perspective into my daily role as a coach & young adult trying to make the most of my time on this earth. I saw your blog and really enjoyed it. I have a unique sports website, fanthem.com that is dedicated to bringing citizen sports journalists/coaches/fans to the forefront by highlighting great writers like yourself. You can create new content or re-post your blog content on fanthem.com and increase your blogs exposure while also getting more interaction from readers. Let me know if you are interested!